Heat olive oil in a saute pan and add artichokes, garlic, and olives, cook through about 5 minutes. Add tomatoes for another 2-3 minutes. Pour in white wine and pasta water and reduce a little, about 5 minutes. 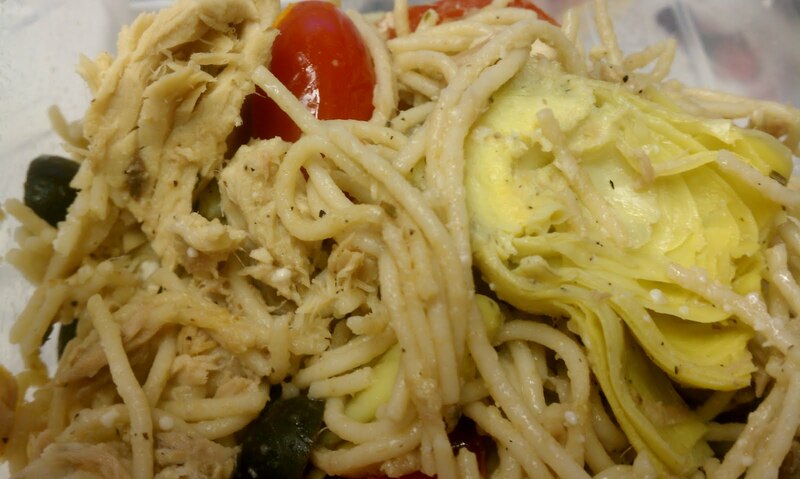 Toss with pasta, salt and pepper, lemon juice, tuna, and rosemary. I dressed the pasta with a little more lemon juice and a shake of parmesan before serving as a preference.